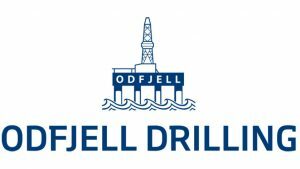 Odfjell Drilling (UK) Ltd is a leading drilling contractor with 38 years experience on fixed and floating production platforms. Today, Odfjell Drilling (UK) Ltd currently has contracts for 23 fixed and mobile units in the North Sea. Odfjell are registered as both a buyer and supplier in the Achilles FPAL community. How does Odfjell Drilling use Achilles FPAL? In addition to vendor selection, Odjfell Drilling UK also use Achilles FPAL to measure their performance. Our key competitors are also registered and we monitor their progress, in line with our own, through the Achilles FPAL benchmarking system. What are the benefits of using Achilles FPAL for Odfjell Drilling UK? • As a supplier, Odfjell’s own company profile is also visible to all Achilles FPAL buyers which increases the likelihood of being contacted about contract opportunities. As a buyer Odfjell Drilling UK value the information recorded about suppliers that have undertaken the Achilles FPAL Verify audit. They feel assured that the information supplied from the Achilles Verify audit is accurate and checked by Achilles FPAL’s independent assessment team. For that reason, they encourage their key suppliers, particularly those involved in high risk operations, to undertake an Achilles FPAL Verify audit. “We found that Achilles FPAL was an effective screening tool to complement the system we already have. It has saved us time and resource during the selection process for developing approved vendor lists. For that reason, we do encourage our key suppliers to become Achilles FPAL registered”.